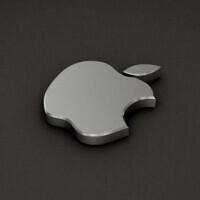 According to Jefferies analyst Peter Misek, the Apple iPhone 5S will start undergoing production later this month. This dovetails with a report that we passed along to you the other day about Foxconn going on a hiring spree. While this information is sure to warm the heart of any iOS fan, we still have some time before the phone is actually launched. Misek sees Apple releasing the Apple iPhone 5S in the fall and expects 25 million to 30 million units to be shipped in the third quarter. That, says the analyst, will be followed by shipments of 50 million to 55 million Apple iPhones for the holiday quarter. The Apple iPhone 5S should bring a faster processor, an improved camera with a longer lasting battery and according to one of sources, it will support NFC. The analyst also stated that production has started on the Apple iPhone Lite, the low-cost version of the phone for emerging markets. Despite the apparent destination of the phone, Misek pegs the price of the handset at $300 to $400 and says it is more like a mid-range model at that price. If the Apple iPhone Lite is priced in that range, "it will not be competitive in emerging markets," he says. We wouldn't necessarily take Misek's comments to heart and certainly wouldn't take them to the bank. It seems forecasting production of the next iPhone is a quarterly ritual for the analyst who also said back in March that he expected production of the phone to start that very month with a June or July launch. The good news for the analyst is that eventually, he might be right. Wishing you a double jackpot! Whatup DK!!!! Congrats bro.. wish you all the best!!! Thanx Dave. Where and how've u been. Can't argue with that my man. Good to hear from you. I can't believe they're letting the two of you get married??! I guess it's true what they say: for every Ügly Dückling there's an Üglier Qüack!! I hope the iPhone 5S/6 is out in time for your wedding, don't forget to charge alot and I'll keep my fingers crossed; it might help if you stand in a puddle of water whilst charging, just sayin'! BTW, is she/he wearing white?? Personally, iToo, can't wait for iPhone 5S/6 - I've already ordered my rAiNbow Accessories. I'm holding off on my upgrade until I see what apple has in store. The biggest change is ios 7 I'm thinking which we have already seen. Maybe there is one more thing though who knows. If you liked the 4S you will prolly like the 5s. Smart to wait though. I don't know bio, I think they're gonna a killer feature, or two to show off with the new hardware. The 5s will have the A7 for sure, dunno if it's actually better to wait for a brand new design 6 with A8/A7x processor and a potential 5.7 inch screen. My contract for the Note 2 runs out by then, so if not the Note 4 it'll be that! How you like your note Mist? Brilliant, think it's easily one of the most productive, innovative and best phablet with all of it's quirks and features. Also have an IPhone 5 and Lumia 920 as backups but do find myself using the note 2 very regularly for the office and my commute. 920 for the camera and slickness but the IP5, just an all round performer in a small package that I will admit no other can come close to in terms of desirability. I had the note 2 up until Friday, traded put some cash in and bought an s4. I love the S4, but could never part ways with the iPhone. I'll forever be hooked on both platforms. One for power, one for elegance. Having the s4 and iPhone 5 do you miss anything about the iPhone when using the s4? The screen on the IP5 is also superior, it just feels the more complete product with the quality, customer support and eco system no other OEM can match. I feel it's probably worth waiting for the revamped IPhone 6 although no doubt the IPhone 5s will be a hugely desirable product. I'd imagine that Apple are going to cut the bezels completely for the re-designed 8th Generation IPhone (IP6) if the IPad Mini 2 rumours are anything to go by. I totally agree as I now own both. I really want it to have atleast 5'display I will definitely buy but if not ill keep my iPhone 5 and buy galaxy note 3..